Zoomtoberfest 2017 is this weekend! 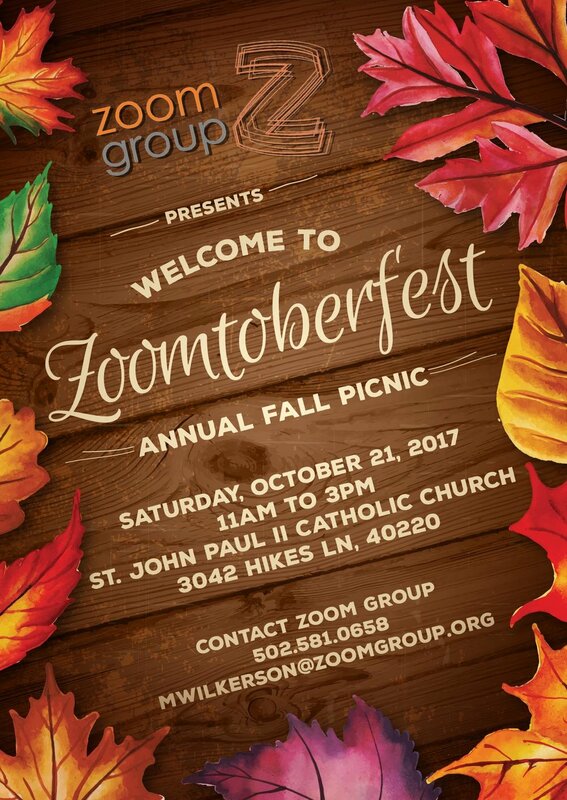 The leaves are falling, the weather is getting chillier, and Zoom Group's annual Fall picnic is right around the corner. Zoomtoberfest is fast approaching! It will be held at St John Paul II church (3042 Hikes Ln) this Saturday, October 21st. The picnic will have activities such as a costume contest, various games, 'Pie In The Face' booth, and the always popular talent show. Lunch and refreshments will be served. All and all, a good time! This event is open to Team Members, Zoom staff, and friends of Zoom Group. We hope to see you there, and don't forget your dollars to toss a pie into the faces of your favorite Zoom staff.